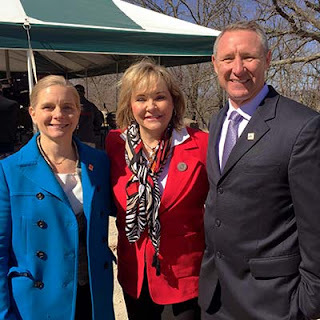 Garver representatives were on hand as Oklahoma Governor Mary Fallin and others announced recently the Gilcrease Expressway expansion in Tulsa, Oklahoma. The expansion is the latest project in the Oklahoma Turnpike Authority’s Driving Forward campaign. Garver will be providing traffic analysis and design, roadway and bridge design and environmental services for the Gilcrease Expressway project. Brent Schniers, Garver’s Oklahoma Transportation Team Leader, and Kirsten McCullough, Garver’s Environmental Team Leader, were at Tulsa’s Chandler Park as Gov. Fallin, Tulsa Mayor G.T. 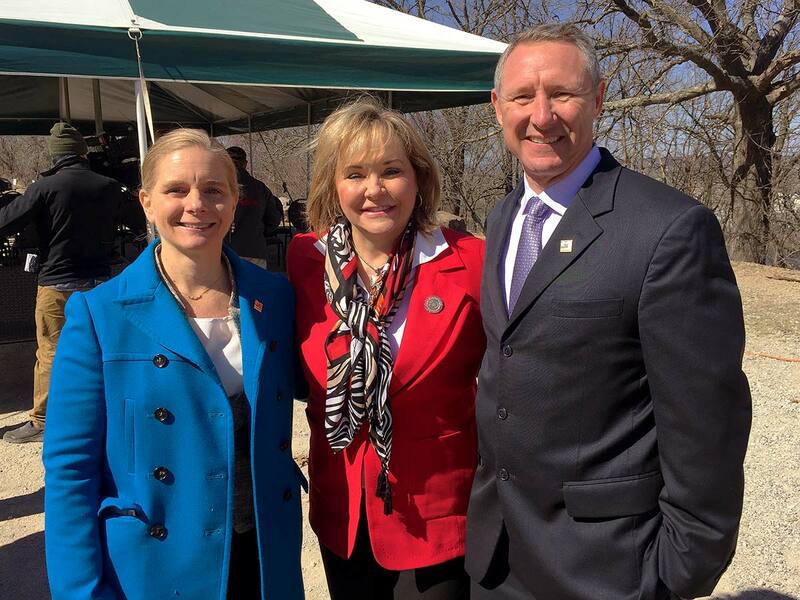 Bynum, and Oklahoma Secretary of Transportation Gary Ridley revealed details of the $240 million project. The expressway, one of six Driving Forward projects, will connect Interstate-44 with Highway 412 and will relieve traffic congestion and improve access to the some of the city’s parks and schools, officials said. Driving Forward was announced by Fallin in 2015 with an aim to improve the state’s highway system. Garver has a wide-ranging role in the program, providing plans and permitting for widening of the Turner Turnpike, and utilizing our project controls team to provide scheduling, cost, risk, and document control to help the program stay on task and on budget. Find out what Garver's Transportation Team can do for you by visiting GarverUSA.com.